Double up Ducks Slots is a guaranteed good time! There are 25 paylines, FREE spins and more, promising loads of chances to win big! Reminisce about your childhood and visit the fair in this entertaining online slot game at Wicked Jackpots! Step right up! 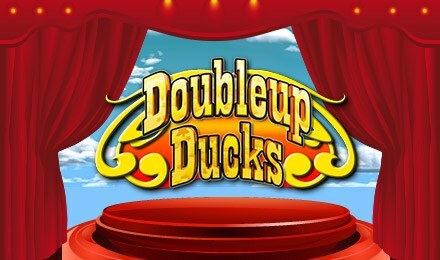 Double up Ducks Slots has a fun carnival theme and reels filled with cute animals and tasty treats. It has a bit of a retro feel and loads of chances to win! The Pink Elephant represents your Wild and can substitute in to complete any winning payline. The Duck Shooter is the Scatter, and 3 or more will trigger your FREE spins! There are 15, and this bonus can be retriggered for more chances to win! If you're looking for a fun slot game, with the potential for big wins, play today!